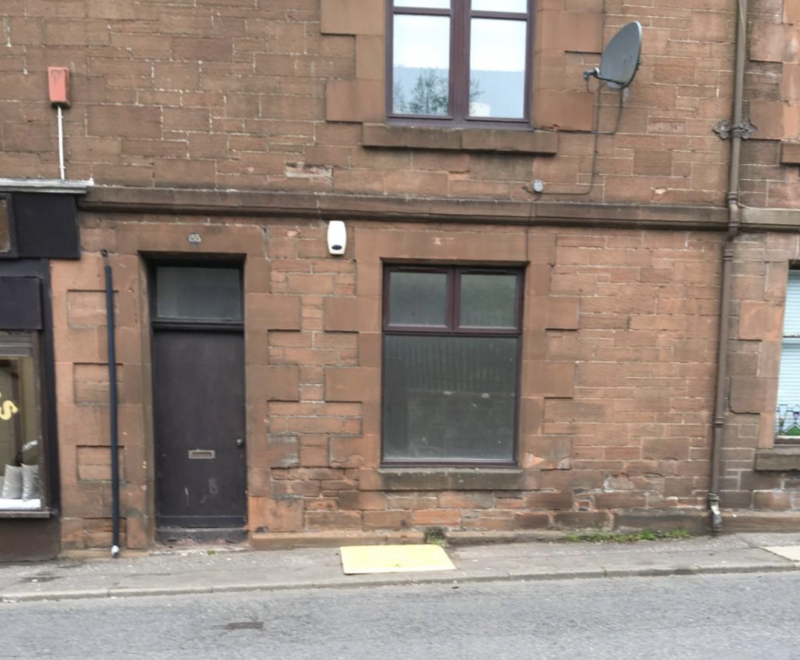 Oakhouse Properties presents to the market, 155 Main Street, Auchinleck, a Ground Level flat situated within walking distance of all local amenities. The property comprises of hallway. Open plan lounge / kitchen. Kitchen is fitted with base and wall mounted units and integrated oven / hob. Shower room is fitted with white suite comprising of shower stall, toilet and wash hand basin. One double bedroom. Outside, the property has private residents parking to rear. Ideal investment opportunity for the Buy to Let Market. LOUNGE / KITCHEN 15,9" X 10'8"
SHOWER ROOM 11'1" X 4'9"
Property reference OS9YWx-cyps. The information displayed about this property comprises a property advertisement. OnTheMarket.com makes no warranty as to the accuracy or completeness of the advertisement or any linked or associated information, and OnTheMarket.com has no control over the content. This property advertisement does not constitute property particulars. The information is provided and maintained by Oakhouse Properties - Cumnock. Please contact the selling agent directly to obtain any information which may be available under the terms of The Energy Performance of Buildings (Certificates and Inspections) (England and Wales) Regulations 2007 or the Home Report if in relation to a residential property in Scotland.